The AG Team is so pleased to be a part of the BERNINA Block Party this year. 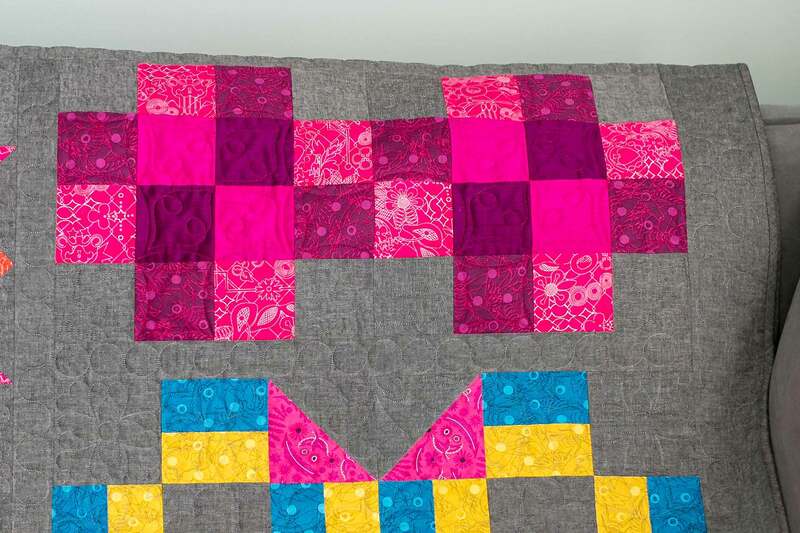 Nina McVeigh, BERNINA Educator and Quilting and Longarm Specialist, has designed a vibrant quilt and will be the host over at weallsew.com. 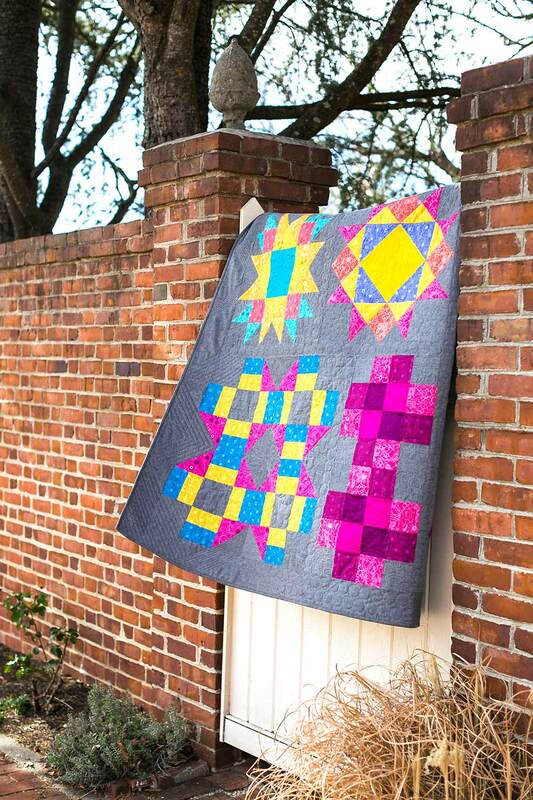 This quilt is going to improve your piecing skills and will also be a wonderful canvas to show off your quilting skills. 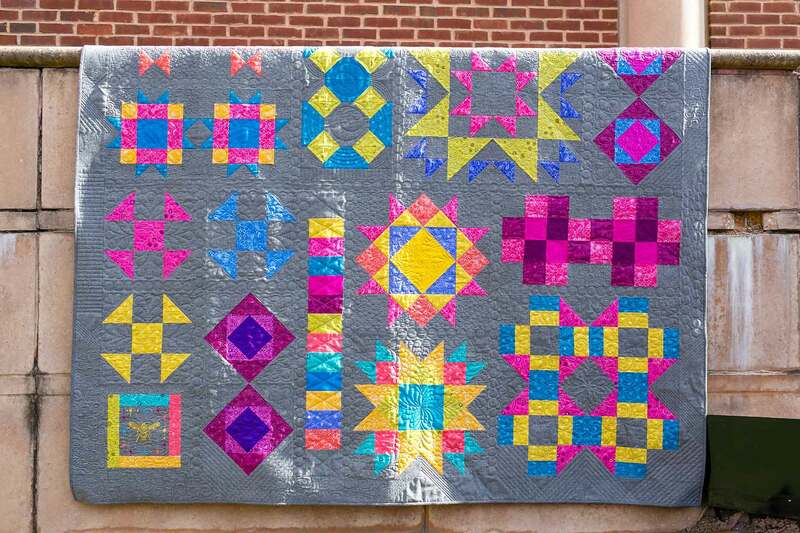 The best things about a block party are you only have to make one block a month and when you are done you have a whole beautiful quilt! April’s block is the Antique Mosaic Block. It is the block set in the lower right of the pictured quilt above. In its simplicity we are looking to master an accurate 1/4″ seam, visit the tutorial on weallsew.com. This skill will help you throughout your life as a quilter. Nina’s tips and easy to follow pictures will get you right where you need to be and give you good footing for the next blocks in the #BERNINABlockParty. On the first Monday of each month, a new block will be posted on weallsew.com with piecing instructions. The blocks vary in size and some months there may be multiple blocks to make that month’s section. 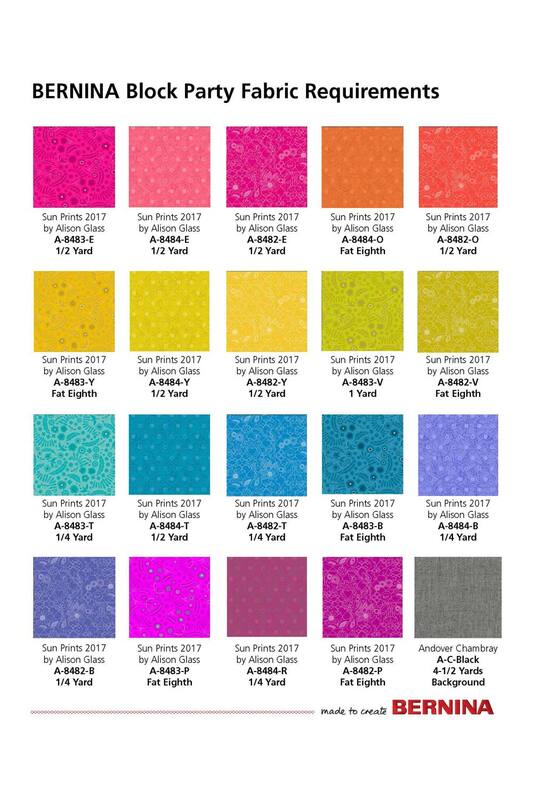 Remember to save all of your fabrics from month to month, because the leftovers from one month will become the next month’s new pieces! Take a look at the introduction post at weallsew.com for more information.